Canada is a vast and varied country. Known to rest of the world as the “Great White North”, it is in fact the home to some of the greatest golf courses anywhere. Whether you prefer mountainside, links style, parkland or traditional design, there is something for every discerning taste. Fancy a golf getaway to the land of the northern lights, ice hockey fights and bright summer nights? Here is a list of must play tracks that are sure to satisfy even the pickiest of your playing partners. With playing seasons starting in late February and winding down in early November, there is a large window of opportunity to visit the friendliest country on earth. Play one, two or all ten, you will want to book your next trip before you leave for home. The original layout in the Cabot tandem of courses in Cape Breton, Cabot Links opened in 2012. Designed by Rod Whitman, the Links lays alongside a mile of sandy beaches, snuggled in between the Atlantic Ocean and the scenic town of Inverness. Adjectives such as bold, majestic, captivating and inspiring have been used to describe the views and vistas of this 6854 yard par 70 layout. With five consecutive oceanside holes and the balance of this sublime test wandering inland through mounds and rolling sand dunes, perhaps no single descriptive word will suffice. Perhaps the truest form of golf, links golf requires the player to be at one with nature, to engage their spirit in order to appreciate and complete the challenge they are presented with. When walking the fairways of Cabot Links, your senses are piqued and your horizons are expanded, you truly are immersed in one of Mother Nature’s gifts to mankind. Club founder Robert Home Smith hired Stanley Thompson in 1929 to “build a fine golf course that would stand the test of time”. As St Georges approaches it’s 90th birthday, it is safe to say Mr. Smith was well served in his request. In 2014 the club initiated a greens restoration project that included referring to Stanley Thompson’s original blueprints to ensure the redesign maintained the great designers original vision. A par 71 design that has played host to the Canadian Open five times, the winding fairways and undulating greens challenge you for a total of 7014 yards from the champion tees. Situated in Etobicoke Ontario, a suburb in Toronto’s west end, St George’s truly takes you away from the hustle and bustle of Canada’s largest metropolis without taking you out of the city. 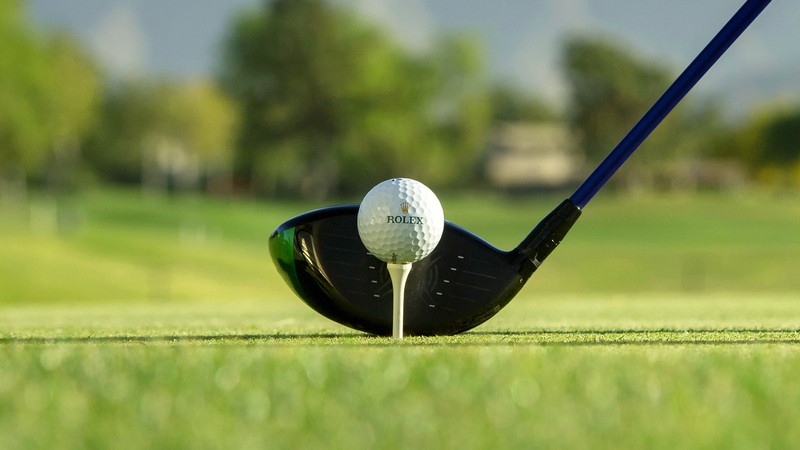 Bring a clear mind and a steely focus especially to the closing four holes which are widely regarded as the toughest closing quartet in Canadian golf. 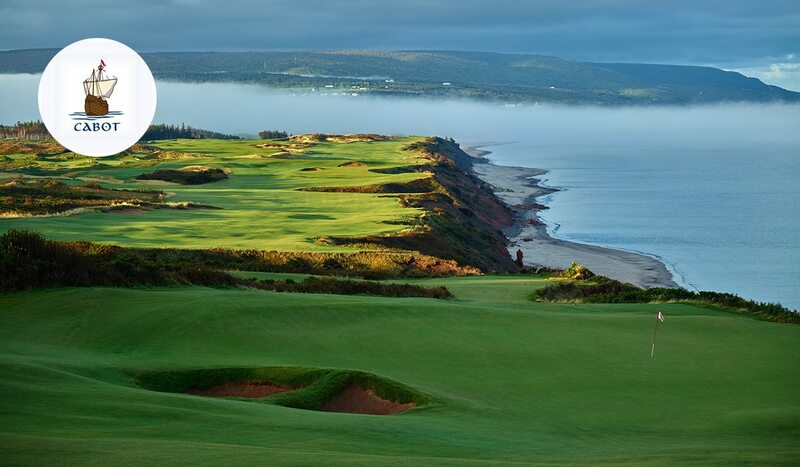 On the east coast of Canada lies the island of Cape Breton, home to many of the nation’s finest golf courses. Coming in at number seven on our list of Canada’s ten best, is Highlands Links near the town of Ingonish Beach in the Cape Breton Highland National Park. Carved out of the coastal wilderness by Stanley Thompson, the course opened for play in 1941 as a par 72, eighteen hole seaside track that is perhaps the most “Scottish” of all Thompson’s works. Pot bunkers, dune-like mounds, rolling fairways and blind tees are all part of the challenge of the 6592 yard design when attacked from the tips. When originally built, the property was quite barren and void of trees and vegetation, a problem addressed by Thompson. His foresight in planting the trees that now border the fairways are a testament to his long term vision of the permanence his creations would have. He proclaimed it to be his “mountains and ocean course” and said it was the best contract he’d ever received. One walk around Highlands Links and you will understand that it was a contract well executed. Since the course first opened in 1975, golf has been the primary focus at the National. 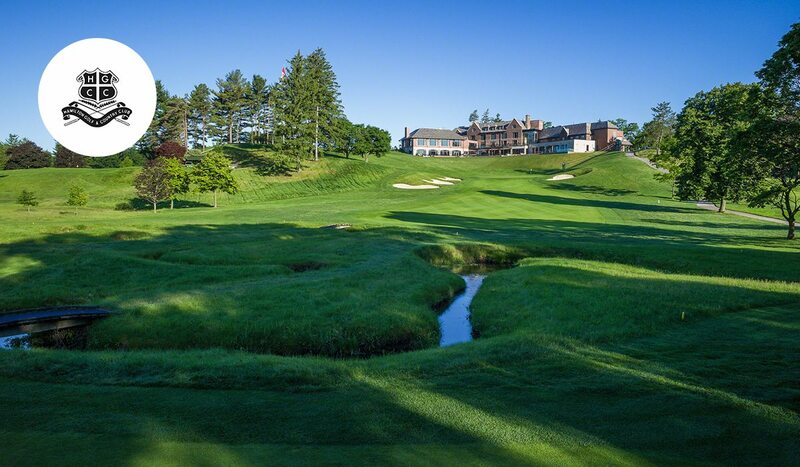 The Tom Fazio co-created design is an example of golf in its purest form, with every hole being a unique challenge that offers a distinct feel to every round played here. The game should never be boring and the variety of the National ensures you’ll never have that feeling. The routing of the classic layout makes it easily walkable and the lush fairways underfoot lend to the feeling of walking on clouds. Beware of becoming to content however as every shot demands focus and concentration, as targets are clearly defined and to stray from the designated line will inevitably lead to more challenges than one would desire. At a demanding 6967 yards from the champion blocks, the distance of this par 71 might seem like it’s challenge. The greens however are the true test, slick, treacherous, subtle and undulating are all descriptions that apply to each of these putting surfaces. Located in Woodbridge Ontario, the National is a short drive from Toronto and well worth the membership. 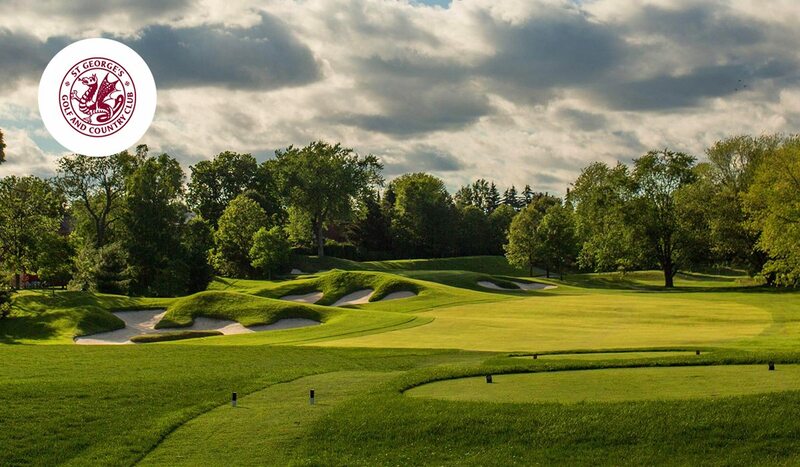 Founded in 1894, Harry Shapland Colt’s parkland masterpiece which lies along the Niagara Escarpment was first played in it’s current design in 1916. 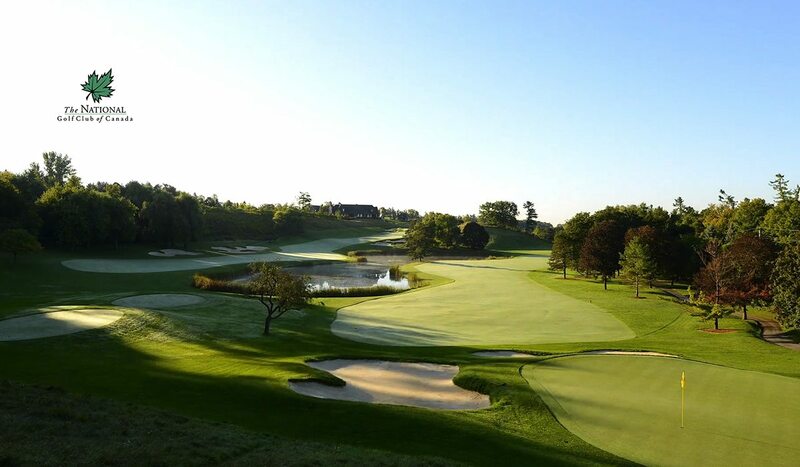 With a rich golf history, including hosting the Canadian Open five times, most recently in 2012, the Hamilton Golf and Country Club is considered one of the most prestigious private clubs in Canada. The course opened for play on June 1, 1916 and currently plays as a par 70 with total yardage of 6956 for the pro tees. While Colt had a dislike for holes over 500 yards, recent renovations to holes No. 2, 11 and 18 have resulted in a solid test for touring pro’s while remaining very playable for amateurs of lesser skill. Mr. Colt had a philosophy that his courses should blend with nature and not be imposed upon it. As you progress through the tree lined fairways to arrive at the small undulating greens, you will understand that his philosophy was adhered to during construction and is still honored today. This strategy is also evident in the stately clubhouse which was originally opened in 1929 and where upgrades blend in with the established ambience of the entire venue. The town of Banff Alberta is arguably the most photogenic village in the world. 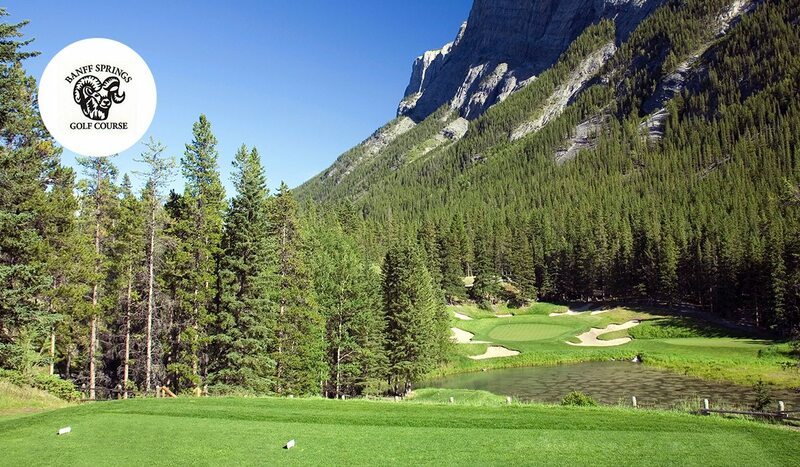 A frequent contributor to the postcard stands is the Fairmont Banff Springs Golf Course. 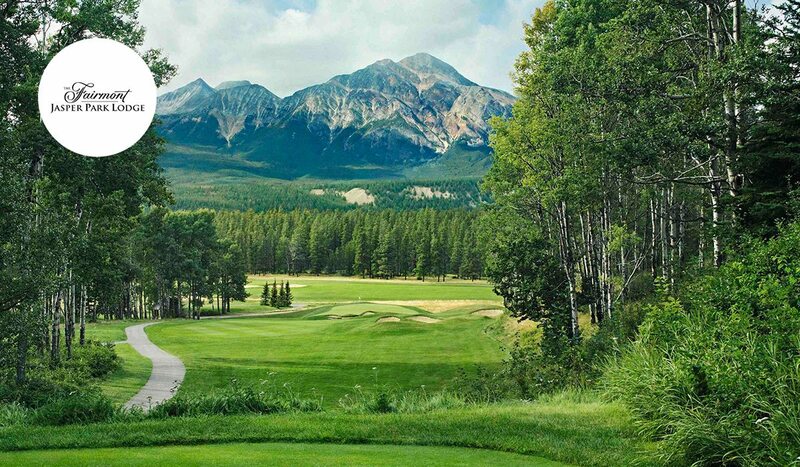 The stunning beauty that seems to have fallen from the sky into the Rocky Mountains is not a fluke of nature but a planned creation by the renowned Canadian golf architect Stanley Thompson. Opened in 1911 as a nine hole loop designed by Bill Thomson, and Old Tom Morris apprentice from Scotland, the course became an eighteen hole layout in 1924 with the additional nine holes contrived by Donald Ross. It was in 1928 that today’s version of the club was first played as a Stanley Thompson design that did incorporate some of the original setup. At 6938 yards the Rundle-Sulphur configuration provides the player with views of such splendor and size that one cannot help but feel they have been transported to a hackers version of heaven. Stay focussed however, the golf will challenge every skill you possess, plus a camera might be pointing your way. Withstanding the test of time, the Jasper Park Lodge golf course, remains on this exclusive list today. Stanley Thompson’s crew of over 200 men and 50 teams of horses took one year to build this masterpiece which opened in 1925. Nestled deep in the heart of the Canadian Rockies in Jasper National Park, the mountain range frames each hole distinctly. Thompson’s elevated tee boxes are the staging area for the players view of each hole. The mountain tops that serve as your target from each tee, paired with spectacular bunkering, provide for a series of 18 postcard pictures as you progress your way around this incredible mountain course. 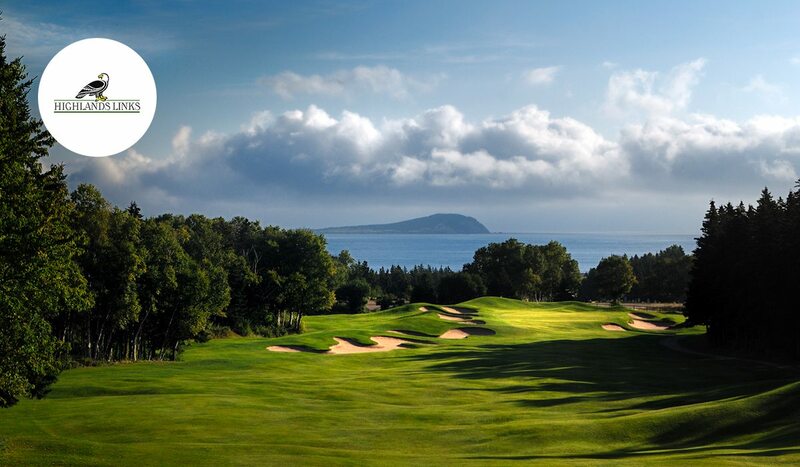 The course underwent a restoration in 1994 to return the club to its original form. The Fairmont group revisited Stanley Thompson’s blueprints from 1924 in order to reimage the tee boxes and bunkers to his initial vision. Measuring 6663 yards from the championship tees, you will use every club in your bag, a testament to the variety of holes to play. As a testimony to the beauty and classic design, one always has the sense that a round of golf at the JPL seemingly goes by much too quickly. If only we could stop time. 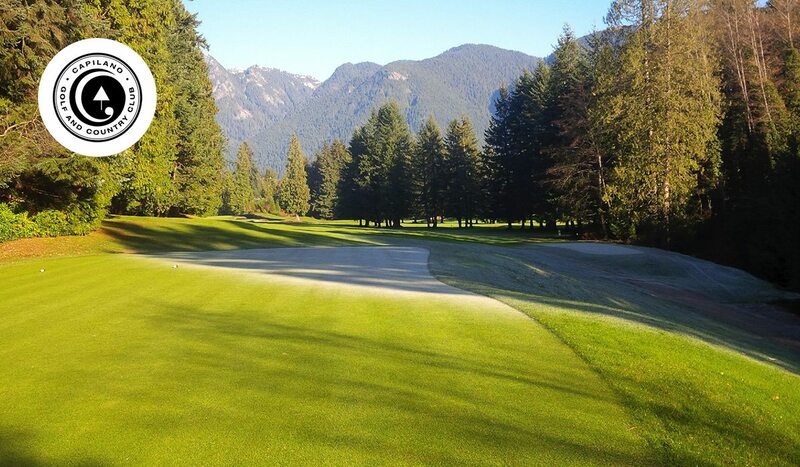 Occupying 160 acres of wooded mountainside in upscale West Vancouver, one doesn’t realize the genius of Capilano Golf Club until they set foot on the property. While you shouldn’t be surprised there are beautiful views in Canada’s most alluring coastal city, the manner in which Capilano Golf Club fits so naturally into this setting is quite breathtaking. Founded by A.J.T. Taylor, the club commissioned Canada’s greatest designer, Stanley Thompson to build a golf course to match the blossoming real estate framework where it would reside. Opened in 1937, the club is a testament to the vision and pure artistic skill of the architect. 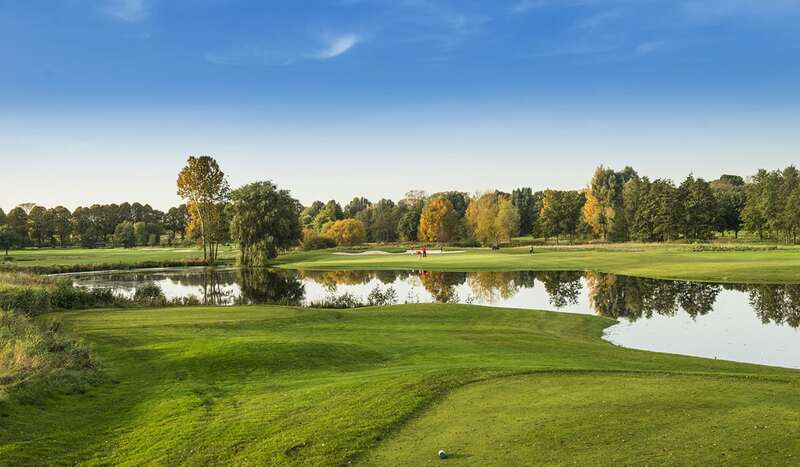 The par 70 layout stretches out to 6706 yards from the pro blocks, and has hosted seven different Canadian Golf Association Championships, most recently the 2014 Canadian Senior Men’s Championship. Incidentally the winner was BC native Doug Roxburgh. Perhaps his competitors were distracted by the views. 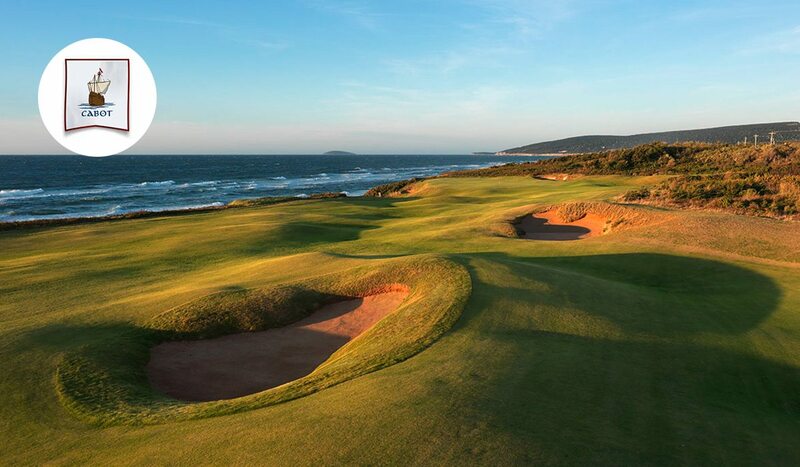 The second course of the Cabot Group in Cape Breton is the overwhelming first choice in a list of stellar tests of golf in Canada. Designed by the team of Bill Coore and Ben Crenshaw, opened in 2016, the Cliffs sits on a majestic property overlooking the Atlantic ocean just outside the town of Inverness. This is linksland golf at it’s finest, demanding creativity with every shot, all the while distracting you with breathtaking views. Tipping out at 6764 yards, the layout works through majestic cliffs and rolling sand dunes, with coastal winds adding to the true links experience. A walkers only course, Cabot Cliffs is a step back to the days when golf was about being in the game, in the moment, away from the hectic pace of the everyday. A time when you were allowed to embrace the uncomplicated, to experience golf as it was intended, in all it’s beautiful simplicity. Located in Caledon East, very near to downtown Toronto, this member of The Devil’s Pulpit Golf Association is a scottish links style layout. Designed by Michael Hurdzan and Dana Fry, the ‘brush is named after a flower that grows wild throughout the course. Situated on a 164 acre property, the course lies on natural land, minimal earth was moved during construction. While not overly long at 6772 yards, the devil is in the bunkers. Pot, revetted face and wooden faced bunkers dominate the views from virtually every tee box. Coupled with wildly contoured greens, two of which are shared by No. 2 and 9 as well as No. 11 and 14. The latter shared green has a tree in the middle of it, certainly a unique feature. 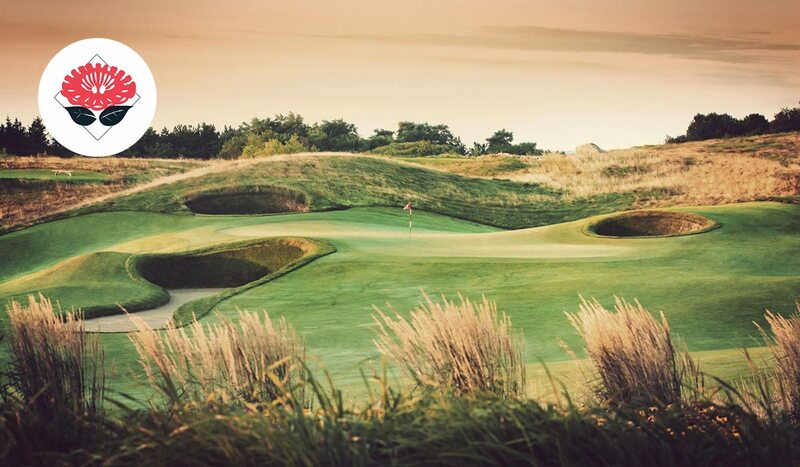 This par 72 layout is described as a “rugged adventure” by its members. It will be an adventure on foot however as there are no carts here. This course is for walkers only. Perhaps being on foot and at one with nature is a good omen, certainly every golfer would want the Golf Gods on their side as the play the Devil’s Paintbrush. Connect with like-minded golfers and discover more than 33,000 golf courses in 180 countries on www.allsquaregolf.com or download our mobile app on the App Store and on Google Play. Contact us at info@allsquaregolf.com to book your golf trip.